HH Annex 1 — The entrance to the HotHouse Annex. 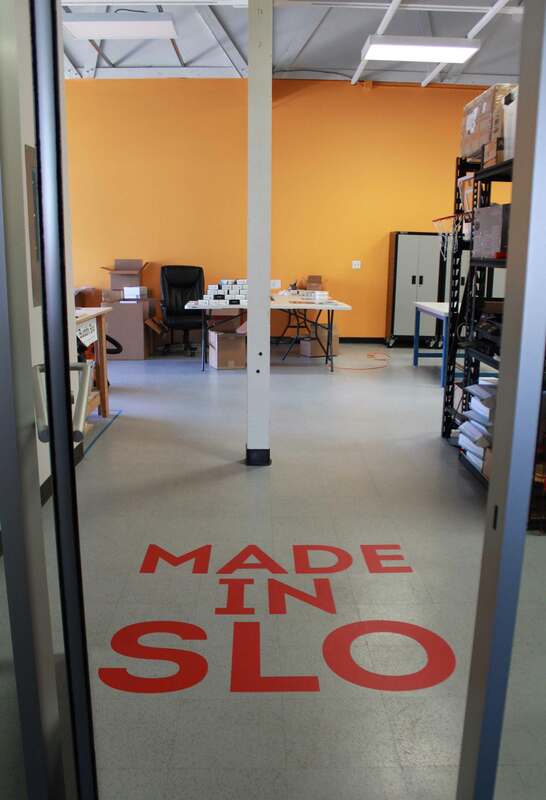 The new 4,100 square-foot-space is at 75 Higuera St., in the Pacific Coast Center, in San Luis Obispo. 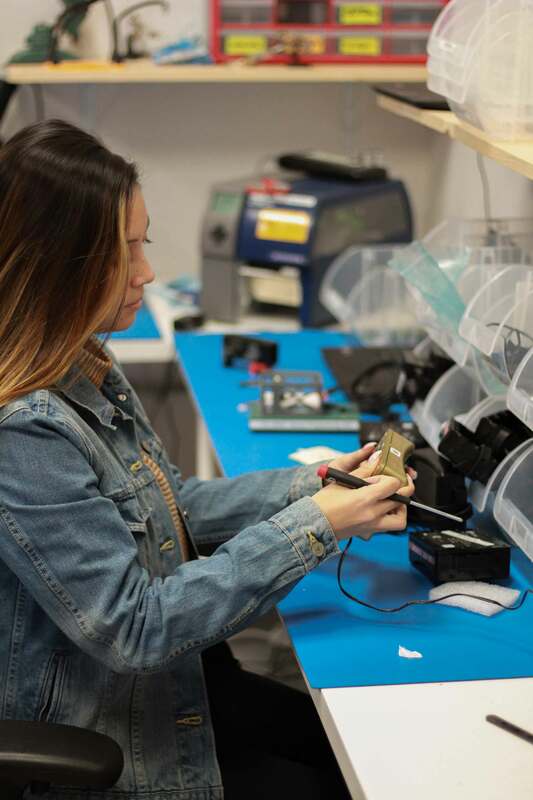 HH Annex 2 — Joanna Birns, a Cal Poly student and customer success representative at startup Flume Inc., works on one of the startup’s products in the HotHouse Annex. 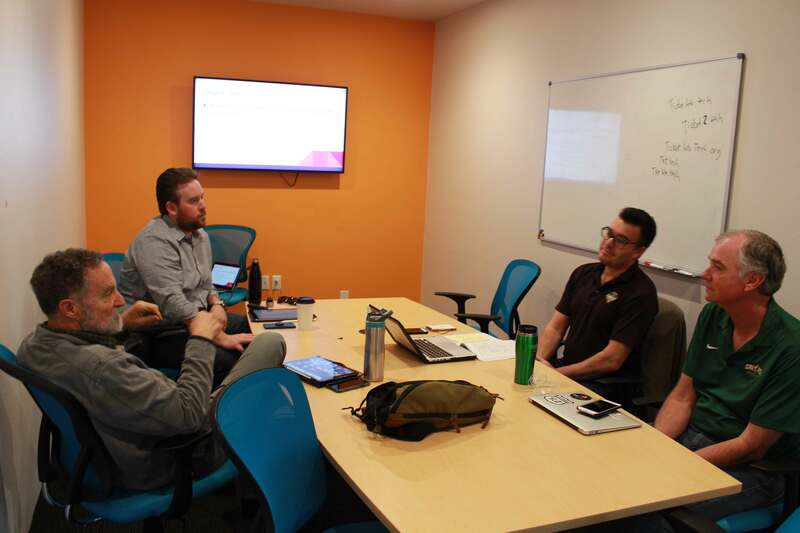 HH Annex 3 — From left, Jonathan York, CIE co-founder and Cal Poly entrepreneurship professor, marketing consultant Luke Wallace, Michael Specchierla, executive director of SLO Partners, and Dan Weeks, SLO HotHouse entrepreneur-in-residence and business liaison for SLO Partners, hold a discussion in the HotHouse Annex conference room.